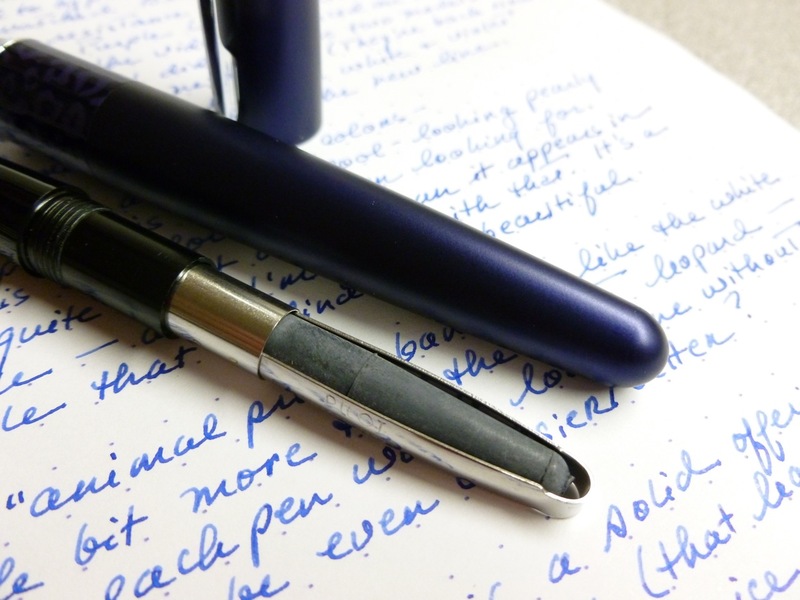 As you’ve undoubtedly read in numerous other reviews, the Pilot Metropolitan really is a phenomenal value. For just $14.50-$15, you get a very solid, superbly performing pen, along with a squeeze converter and one cartridge. It’s the real deal at an amazingly low price. The metal body has a very nice heft (26g overall; 17g body, 9g cap) that is equally pleasant to write with posted or unposted. The snap-cap issues a satisfying “CLICK” when you cap the pen and posts without a hint of wishy-washiness. Rock solid, is what the Metropolitan is. Obviously, I’m a bit of a Metro groupie. SOOOO, when Pilot recently introduced the Metropolitan with a FINE nib, I added the Taupe/Lizard model to a JetPens refill order to boost myself up to the $25 free shipping threshold. The pen arrived last week and I’ve been spending time with it ever since. I decided to forgo the cartridge, and instead filled the converter with Pilot’s Iroshizuku tsukushi (horsetail), which is a good match for the lizard pattern accent band. The lizardish body band is a deep brown that blends well with the taupe body. Others, you may have read, are not exactly head-over heels in love with the animal pattern models, but I think most of them are kind of cool and not too gimmicky looking. There’s a faction of Metropolitan fans that’s been crying out for a fine-nibbed version of the Metropolitan but I wasn’t one of them. The original models, available only with Pilot’s medium nib— which is equivalent to a western fine— suited me well. But I was curious. Thus the order. 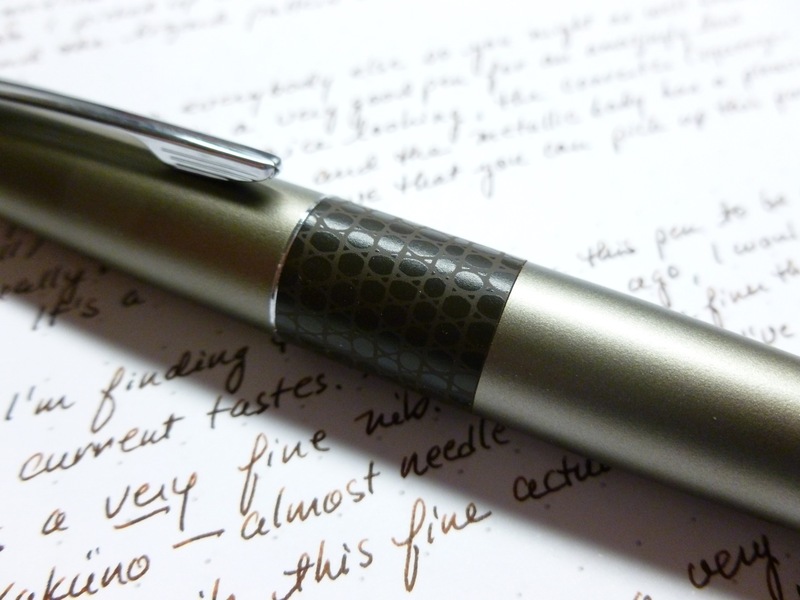 Like every Pilot fountain pen, my Lizard Metropolitan started RIGHT up, without a skip or stutter or hesitation. Pilot pens do not disappoint. The line it put down is supremely sharp and crisp, and felt even finer than the nib on my Kaküno (also fine and also from Pilot). In fact, it felt a little TOO fine, a little too sharp. Not scratchy, but sharp. VERY sharp. Hmmmm. I’ve been a fine/extra-fine person forever, and only recently branched out into broader nibs, but something in me has changed. I’ve gotten used to the buttery smoothness of those broader nibs and the way that the wetter/thicker line of a medium or broad nib brings out the shading properties of many inks. 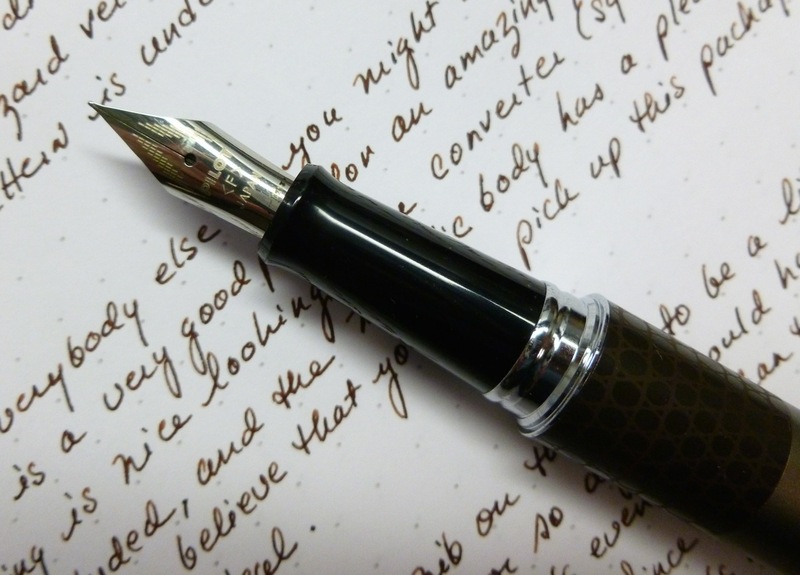 Writing with such a needle-like nib felt weird. Not bad, just weird. BUT…that’s not the end of the story. For the past few days I’ve been using this particular pen when writing in my Field Notes (California State Fair and Night Sky editions) and my opinion took a 180-degree turn. 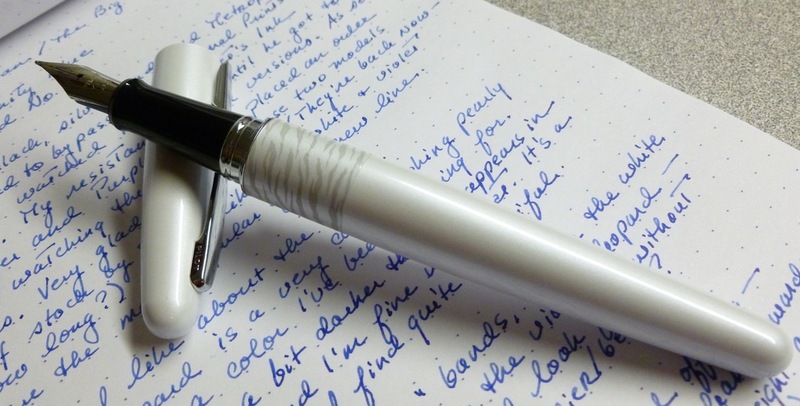 The super-fine nib suits the Field Notes paper perfectly. Whereas a medium or broad nib would be an inky mess on Field Notes paper, with this Metro, there’s little to no feathering and just a TOUCH of bleed-through. And you know what? 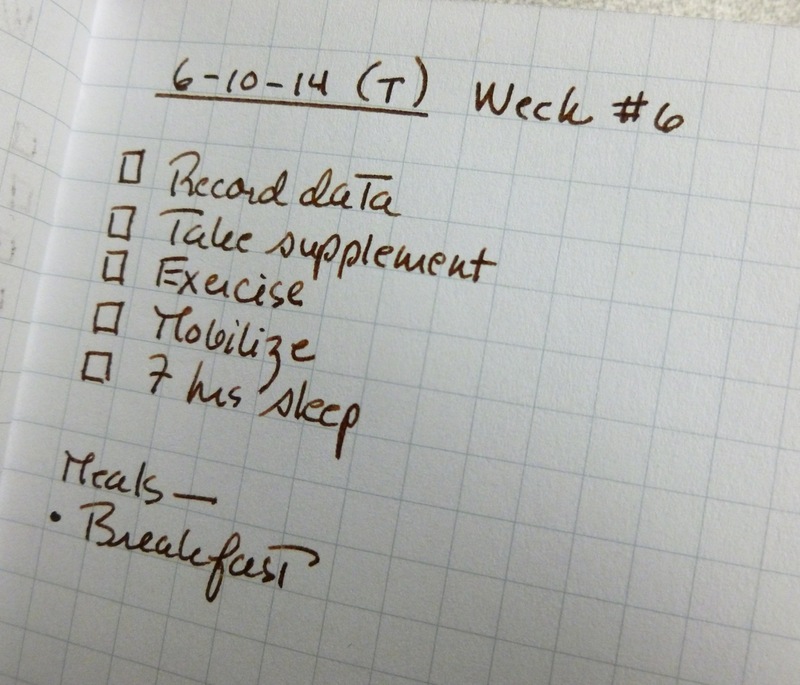 When I went back to writing on my Rhodia pad, I liked the way it felt on that paper, too. Very precise. Very crisp. 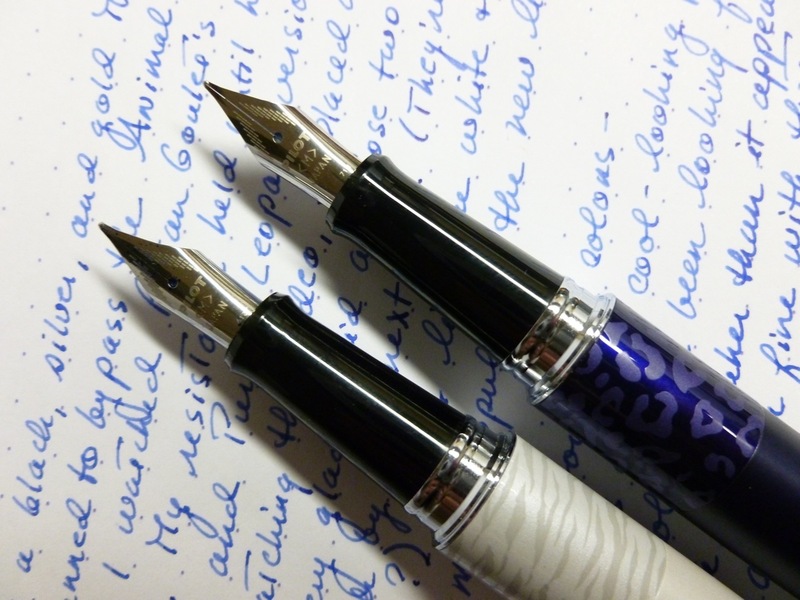 Initially, I thought the Metropolitan’s fine nib was TOO fine, but a little time and the right paper changed my mind. It’s probably not a pen I’ll use for letter writing, but for writing out my daily work and home lists, journaling, and jotting down appointments in my homemade Field Notes calendar, it’s just the ticket. It’s also another “candidate” pen for my conference later in the summer (low cost, yet still a great writer). 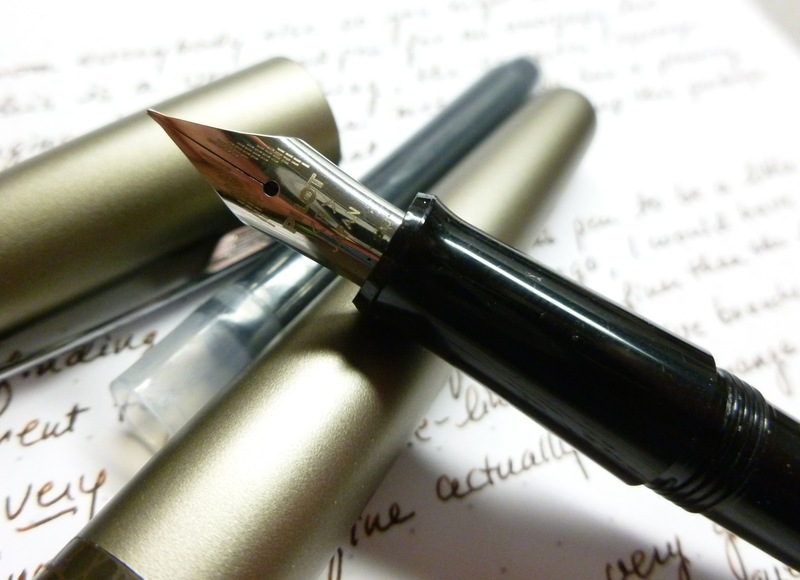 The Pilot Metropolitan— fine pen, fine nib, fine price. And I am, it turns out, fine with all of that. I had every intention of passing on the new Pilot Metropolitan Animal Print editions. After all, I already own one of the black, silver, and gold models, and that seems like plenty. But then I watched Brian Goulet’s Ink Nouveau video and once he hit the White Tiger and Violet Leopard versions, my resolve dissolved. I hopped on over to the Goulet Pens site and placed my order asap. Good thing, too, because by the next day, both of those models were sold out. (At the time of this posting, they’re back in stock.) Seems I wasn’t alone in my new-found enthusiasm for two of the new colors. Both pens arrived in short order and were very WELL protected. (If you haven’t ever ordered from the Goulets, you need to do so, just to experience the awesomeness of their packaging. And the complimentary Tootsie pop. And the bookmark and sticker. And the hand-written note. Their packages are a great example of customer service done right.) I filled the White Tiger pen with Waterman Serenity Blue, via the included squeeze converter, and have been using this pen as part of my current rotation ever since. 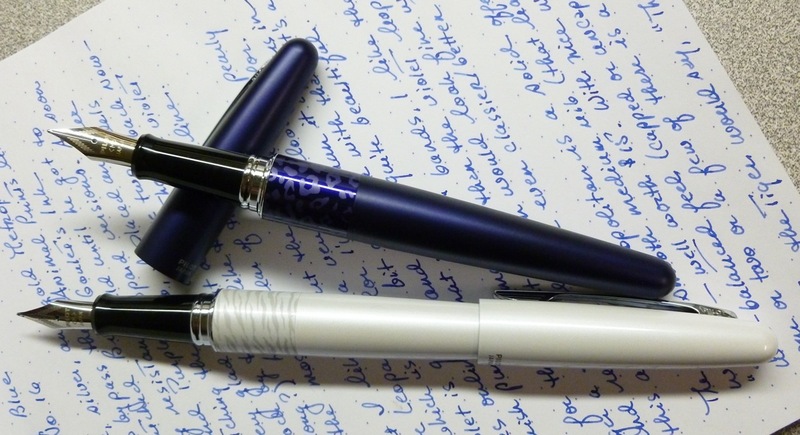 The White Tiger pen is a wonderful pearly white—a color that I wish I could find on more pens. (Maybe I just haven’t looked hard enough.) I’m not sure that the look really comes through in my photos, but, trust me, it’s pretty. The purple, too, is hard to capture with my camera, and looks a little more navy in my pictures than it really is. The color is actually a very dark purple— a blackish purple that looks really rich, really beautiful. It’s definitely darker than it looks on the Goulet Pens site, and that’s fine by me. I have very few white pens and no other purple pens, so these are great additions to my fountain pen collection, just for the colors alone. 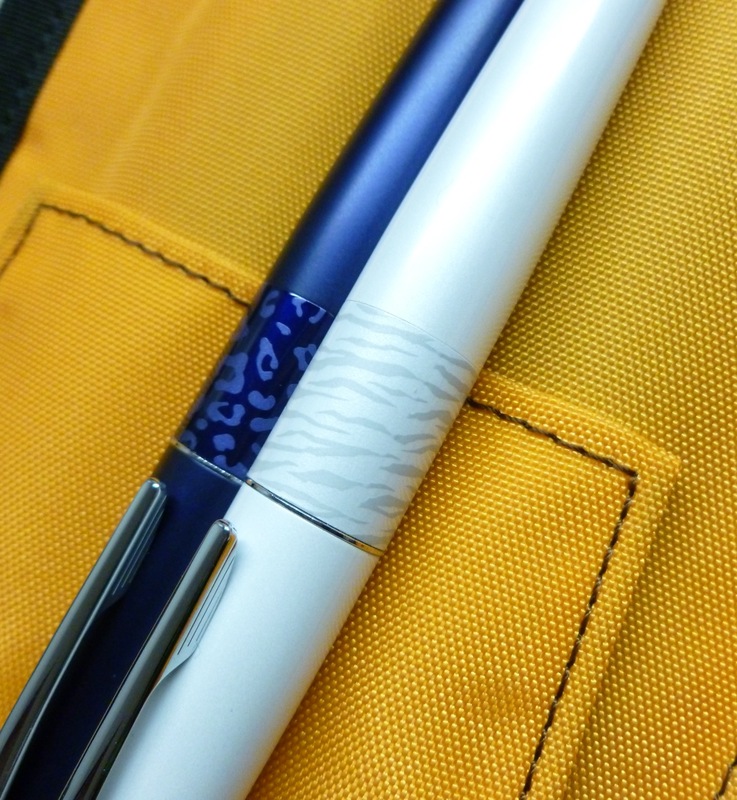 As for the “animal print” bands that accent the pens, I like the White Tiger a little better than the Violet Leopard pattern. 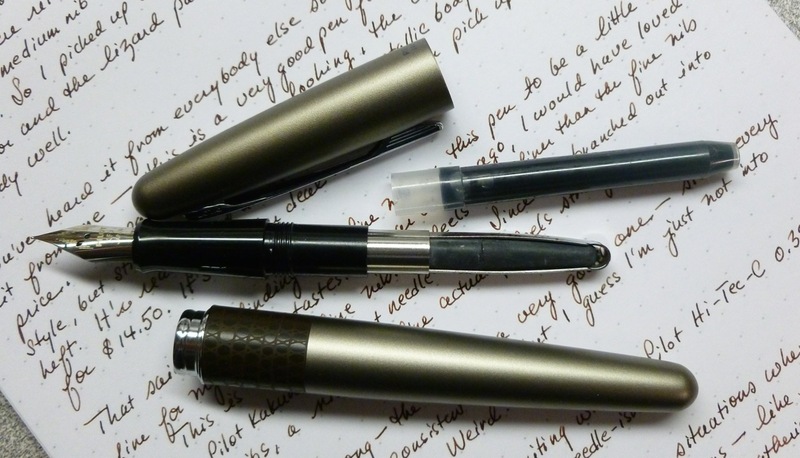 Really, each pen would look fine without this accent— maybe even classier? The Pilot Metropolitan is the perfect pen to toss into a backpack or purse, or to tuck into a pocket. This isn’t a pen that you need to baby because it’s fragile or so pricey that you’re afraid to take it out and about. The Metropolitan is a pen to use throughout your day—wherever that day takes you. Which got me thinking— what about an ORANGE Metropolitan with little black tiger stripes?! C’MON Pilot, DO IT! !